NMIMS NPAT 2019: NMIMS is the Narsee Monjee Institute of Management Studies renowned for its quality education in various programs. The NPAT stands for NMIMS Programs after Twelfth. It is the official Exam for admissions to Undergraduate Degree and Integrated Degree Programs offered in different campuses of the university. For NMIMS/NPAT Admission 2019, NPAT is the compulsory entrance test to be given by aspirants looking forward to pursuing Engineering & Technology Management, Pharmacy & Technology Management, Commerce, Economics, Design or Liberal Arts courses with certification of approval by the university. Students who are willing to continue can follow details mentioned here in the article. We are sharing information on guidelines of NMIMS Online Application Form, important dates, syllabus, exam pattern, results with all contextual information. The complete process of the exam selection is extended, thus the dates mentioned here will help interested students take action in a trice. The NPAT Eligibility Criteria is must for those who want their admission. As through entrance exam only, admissions are allotted, details given here will be same. The NMIMS NPAT Eligibility may vary for each course, but through precise points given here, it will be easy for all to learn whether they can appear in the selection process or not. Here criteria are listed in tabular format for every course offered by the university. B.B.A. / B.Com(Hons) / B.Sc. Finance Program 10+2 passed or International Baccalaureate Diploma in any stream from recognized board. B.Sc. Economics 10+2 or equivalent examination including International Baccalaureate Diploma in any stream. School of Design 10+2 or equivalent examination including International Baccalaureate Diploma in any stream passed at first attempt. For those who want a brief on submission of application form, here we are providing you simpler process. From the home page click on the link to registration available on the website. Make your registration valid by verifying it through the mail. Go to the login link and insert registered details to access the online form. Recheck all filled details and click on the submit button. Pay fees through any of the convenient payment methods. The fees to be submitted by students will vary from INR 1800-6000/- as per the programs are chosen by you. The NPAT Exam Pattern is the most crucial for each participant of the competitive exam who wants his selection for sure. Through it, one can easily clarify what pattern he has to practice and implement while giving the exam. Here is the NMIMS NPAT Exam Pattern, through which highlights of the exam can be understood well. The syllabus is most important as the foundation of preparation is formed through the syllabus only. As the subjects and topics asked in the exam will be same for all courses, the difficulty level of the exam may be high. The NMIMS NPAT 2019 Syllabus pdf will be uploaded by us as soon as the application starts. This way it will be easy for participants to prepare best within time. The exam is usually conducted in the month of May and the NPAT Exam Date 2019 are somewhat followed as well. However, the accurate dates for each year may vary. The exam will be scheduled for more than one date, thus participants of multiple exams ought to know their NPAT Test Date. The alert for the date and its complete chart of important dates will be given to candidates separately. Also, best study material will be provided during the course. For appearing in the exam, carrying admit card is important for all the candidates. The NMIMS NPAT Admit Card will be available 6 days before the exam date. NPAT Admit Card Download can be processed by using the login details at the time of registration. Here we will be facilitating a direct link through which one can easily download admit card and know their NPAT Exam Date 2019. Also, along with the admit card candidates will have to carry original ID proof with its photocopy. The result will be announced in the format of ranks. Those who will qualify the exam with decent scores will be placed in the merit list for each stream. Highest ranks will be awarded admission as per available seats and norms of the institute. For all, checking their result will be easier through the direct links provided by us. 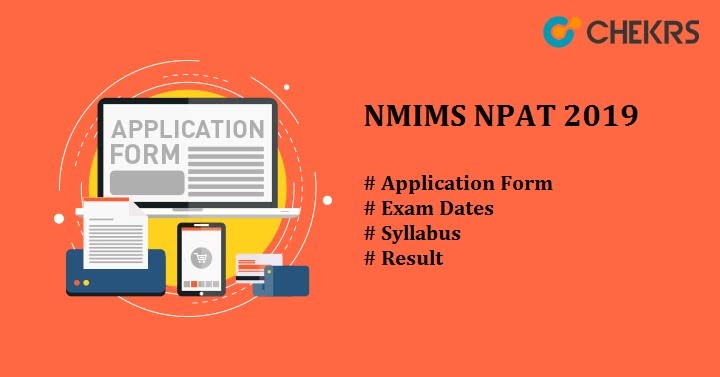 Keep visiting the page to know the NMIMS NPAT Result Date 2019 with other information.